Town & Country Services the leading provider of Generac Generators and the only certified company in the area to maintain and service them. We understand generators need to be reliable and durable in times of an emergency. When the power goes out, you don’t want to be left in the dark. That's why are factory trained and certified to perform service on all Generac products, even if we they were installed by another company. 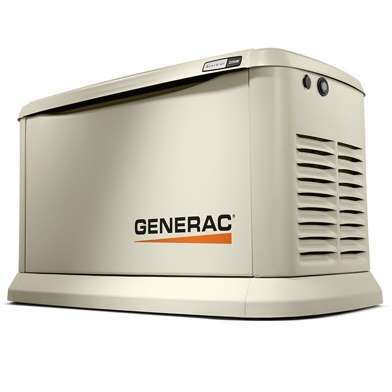 Generac is a trusted name in standalone and portable generators for home or business. The generators can keep your lights on and refrigerator running during a nasty storm or make sure you’re your data servers don’t experience a sudden power loss. Founded in 1959, Generac is the leader in generator technology whether you looking for something portable for a job site or a reliable standby generator for the safety and protection of your home. Town and Country provides professional service to your Generac Home Standby Generators. They are the largest dealer to central IL and surrounding communities like LaSalle, Ottawa, Spring Valley, Streator and beyond. Our factory trained technicians carry both in warranty and out of warranty Generac parts on the truck for a speedy repair of your generator. Also for your convenience, maintenance plans are available to keep your generator in tip top shape. Don't wait until emergencies strike, call us today!